Paint & Bubbles Studio presents "Elements of Art", a 10 session art enrichment program for MISD students. Join us as we draw, paint & create art using mixed media! 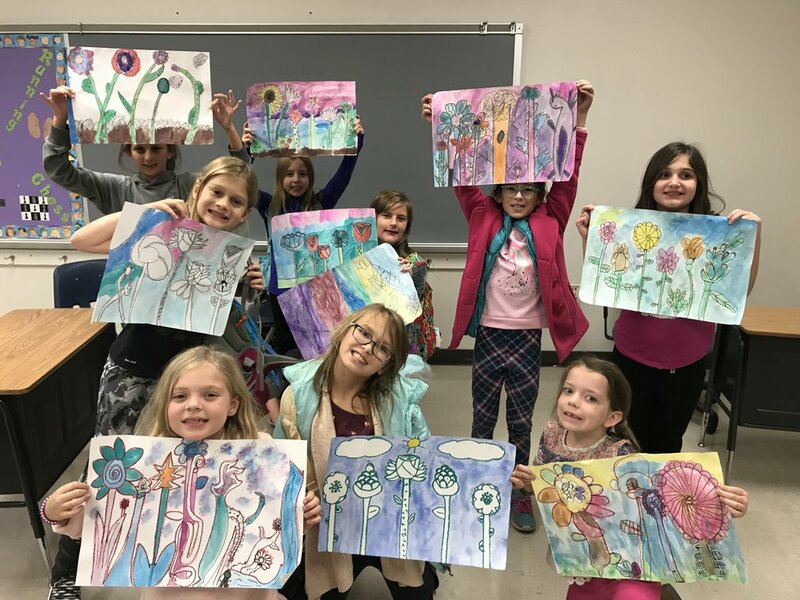 Students will meet once a week to develop their creativity, learn about the elements of art, and create FUN art projects. Tuition for the program is $155/student ($130 early reg.) and includes all supplies. Please choose the school your child attends below to register. Spring Classes begin the week of February 4th. EARLY BIRD REGISTRATION IS AVAILABLE UNTIL January 25th! Discounts also offered to MISD Employees and Adventure Program participants. We are happy to offer a split payment plan, if needed. Please call the studio at (346) 703-2141 to take advantage of this. PLEASE SCROLL DOWN AND CHOOSE YOUR CHILD’S SCHOOL. IF YOU EXPERIENCE ANY PROBLEMS WITH THE ONLINE REGISTRATION FORM, PLEASE CALL THE STUDIO TO REGISTER BY PHONE AT (346) 703-2141. THANK YOU!